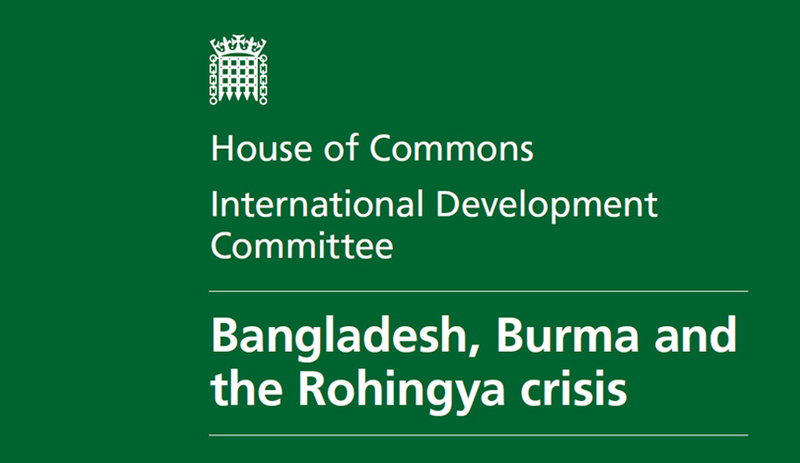 The International Development Committee (IDC), the parliamentary body that monitors the policy, administration and spending of the Department for International Development (DFID), has released it’s report on the UK’s contribution to development in Bangladesh, Myanmar and the Rohinya Crisis. The report sought to review the performance of UK Aid contributions in Bangladesh and Myanmar and make recommendations for DFID to further improve the value for money provided to the UK tax payer by development investments in Bangladesh, Myanmar and the Rohingya Crisis. Earlier this year BRAC’s Senior Director of Communication, Strategy and Empowerment, Asif Saleh, gave evidence in person to the committee. BRAC also submitted written evidence to help the committee with their inquiry. The report made a number of recommendations, including changes to UK development policy in Myanmar to reassure tax payers that ‘their money isn’t being used to prop up a government accused of crimes against humanity’, continued investment in humanitarian aid for the Rohingya Community, and to learn from the success of BRAC’s Strategic Partnership Arrangement (SPA) with DFID and the Australian Government’s Department for Foreign Affairs and Trade (DFAT). We’re delighted to say that the report is very complimentary of BRAC. We will be working with the Committee and DFID to ensure that lessons learned from the Strategic Partnership Arrangement are collated and shared more widely within DFID and the development community so more can learn about this highly innovate approach to achieving outstanding development outcomes. “A unique feature of DFID’s work in Bangladesh is its strategic partnership with BRAC, the giant home-grown, now global, NGO. Since 2011, DFID has been in a Strategic Partnership Arrangement (SPA) with BRAC. This is a flexible funding agreement in which BRAC receives a sizeable, multi-annual allocation of ODA to deliver a defined set of agreed development objectives covering a wide range, if not all, of DFID’s strategic objectives for its work in Bangladesh. The original SPA concluded in 2016 and SPA II has been agreed to be concluded in 2021. BRAC itself states that the SPA arrangement “gives BRAC the flexibility and funding security to innovate and implement extremely effective programmes that have achieved transformative results in Bangladesh. SPA II is funded by £224.5 million between 2016 and 2021. Looked at on an annual basis, that amounts to virtually £45 million, getting on for a third DFID’s annual budget for development aid for Bangladesh (setting aside the recent allocations for the Rohingya). BRAC has developed from the ‘Bangladesh Rural Advancement Committee’ to be No. 1 NGO in the world, and almost, an experiment in government – or at least key public service provider – as a non-partisan, meritocratic, social enterprise. We visited a number of BRAC projects, and met a great number of BRAC personnel and were impressed. One such, was a small community early years school. We consulted the parents and there was very vocal support for the institution which they wanted to ‘grow’ up with the children and not have to use the ‘government school’.